Thrifty Car Rental is locally owned and operated with a variety of new Damler Chrysler vehicles. Standard sizes (compact through full-size) and specialty vehicles: 4x4s, mini vans, pick-ups, and 15 passenger vans. Conveniently located at the Billings Logan International Airport and on 1233 North 27th Street, Suite C. Open seven days a week. Exceptional service and a memorable vacation await you in Montana. 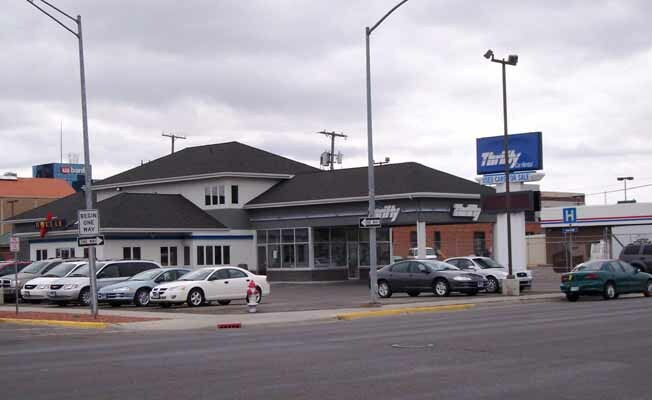 Thrifty Car Rental's location: from I-90, take the 27th Street Exit. Proceed on 27th Street towards airport, we are located on right hand turn off of 27th Street. Located at the Billings Logan International Airport.Thrifty Car Rental's location: from I-90, take the 27th Street Exit. Proceed on 27th Street towards airport, we are located on right hand turn off of 27th Street. Located at the Billings Logan International Airport.